Starting at the Two Rivers Community Park in Adrian, Oregon, the 10K is a loop, taking runners south down Highway 201 for one mile, which is a great warmup, before turning off-road on a challenging 890 foot climb to run the ridge between the Snake River Valley to the east and the Owyhee River Valley to the west. 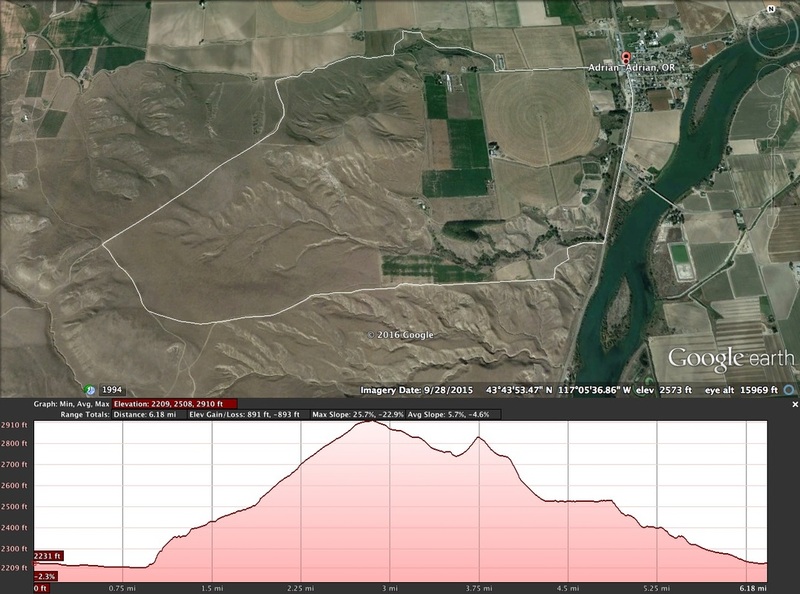 The route then treks behind the "A" Hill, giving participants an incredible view of Treasure Valley farmlands, as they head back downhill and return to the park. The spectacular views and bragging rights are well worth the effort to make the climb to the top. Both runners and walkers are welcome to participate. Click here for a link to a more detailed course map.